We love to fabricate metal based on your specifications. This awesome project was something special again. 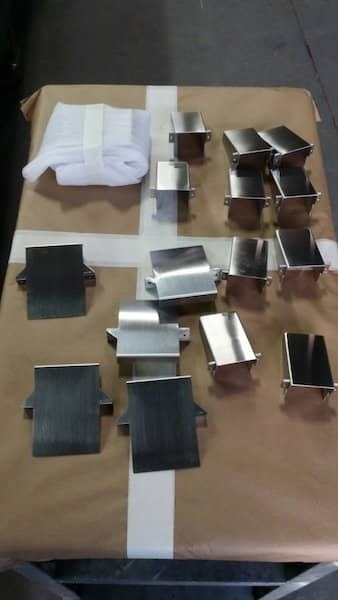 Stainless Steel box custom made with customer specific "enhancements". b) to calculate a free quote. What we need is a drawing. It is not important how professional that drawing is a drawing by hand will do as long as we can identify what you want and all the necessary measurements are there. Based on the drawing we will create a free quote for you. If you like it you can order it via our online system, because we will enter the order including your metal part drawing for you. Ordering is easy as ordering a book or anything else you probably have order online already. The Sheet Metal, will then be laser cut, bend and in this particular project welded and cleaned. 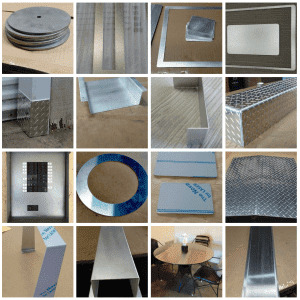 You will have to specify which metal, which finish and which thickness you want us to custom cut, bend and weld your sheet metal part. This is also an important part of the drawing you will providing us. You have more questions to the process? Call us or better send us your drawing and we will be happy to have a look at your drawing.